The world's most popular weed killer, Roundup®, can cause abnormal growth in amphibians, according to research published in the March 2012 issue of Ecological Applications. Rick Relyea, University of Pittsburgh professor of biological sciences with extensive research experience, showed that exposure to sublethal and environmentally relevant concentrations of Roundup® caused two species of amphibians to alter their morphology. Roundup® is widely used in conjunction with GM Roundup Ready herbicide tolerant crops. According to Relyea, this is the first study to show that a pesticide can induce morphological changes in a vertebrate animal. "Herbicides are not designed to affect animals, but we are learning that they can have a wide range of surprising effects by altering how hormones work in the bodies of animals. This is important because amphibians not only serve as a barometer of the ecosystem's health, but also as an indicator of potential dangers to other species in the food chain, including humans," he says. PITTSBURGH- The world's most popular weed killer, Roundup®, can cause amphibians to change shape, according to research published today in Ecological Applications. Rick Relyea, University of Pittsburgh professor of biological sciences in the Kenneth P. Dietrich School of Arts and Sciences and director of Pitt's Pymatuning Laboratory of Ecology, demonstrated that sublethal and environmentally relevant concentrations of Roundup® caused two species of amphibians to alter their morphology. According to Relyea, this is the first study to show that a pesticide can induce morphological changes in a vertebrate animal. We know that growing genetically engineered (GE) crops risks harm to the environment and our health, but exactly what are the dangers and how might they occur? One danger often cited is that gene escape to wild populations could cause these populations to become more vigorous weeds. This could happen if certain GE crops (e.g. those insect-resistance genes) are grown in places where local varieties (landraces) or wild (and weedy) relatives occur, for example in their centres of diversity. This danger might become a reality if proposals to grow GE insect-resistant (Bt) brinjal (also called eggplant or talong) in countries such as India and the Philippines go ahead. All crop plants originally derive, or are “domesticated”, from wild plants in their centre of origin. In centres of diversity, the greatest diversity of cultivated types or landraces occurs. These centres of origin and diversity are the sorts of places where you’d expect to find wild relatives and landraces. Centres of diversity are the basis not only for food security, but also for cultural traditions - they are very special. But these centres of diversity are vulnerable to GE contamination as GE genes can escape to wild and local populations. Once in these local populations, the GE gene may persist, and have consequences for further GE contamination, ecological effects and food security. The centre of origin for brinjal is not clear. However, the centre of diversity of brinjal is thought to spread through the whole of South-East Asia, from India to China and Indonesia (including the Philippines). This area includes countries where the cultivation of GE Bt brinjal is being considered, such as India and the Philippines. Growing GE Bt brinjal in its centre of diversity spells bad news. GE contamination is inevitable if GE crops are grown outdoors, even as field trials. We know that GE contamination of conventional, or non-GE, crops can happen as there are plenty of examples. There are also several examples of GE contamination from experimental field trials, where the GE crop has not been approved for growth or human consumption, yet it ends up in our food. The additional risks associated with GE contamination from GE Bt brinjal within its centre of diversity have largely been overlooked in the risk assessments for GE Bt brinjal, partly because little recent information exists. An independent study, commissioned by Greenpeace, finds that brinjal relatives do occur in the regions where the cultivation of GE Bt brinjal is proposed, and that GE Bt brinjal may mate with these relatives to spread the GE Bt gene. The exact number of species that can breed with cultivated brinjal is not precisely known, but the report shows there are at least 10 closely related species found in South and South-East Asia that cultivated brinjal can mate with. This new study has important implications. Concerns with crossbreeding and spreading of the GE gene through landrace populations and wild and weedy relatives include: food safety concerns; ecological effects; lack of GE-free choice; loss of biological and cultural heritage and undermining of food security. One major fear is the possibility that the newly introduced GE gene will confer a selective advantage that might enable the plant to out-compete and overrun other natural vegetation. Insect-resistance is an example of such as trait, and has been engineered into GE brinjal as a “Bt” gene. Hence, should these wild or weedy relatives of brinjal acquire the GE Bt gene; it could result in brinjal becoming an aggressive and problematic weed that might wreak havoc in both agriculture and natural habitats. GE crops should not be cultivated outdoors anywhere in the world, but if they are grown in their centres of diversity, the risks of outcrossing to relatives and spreading through populations of landraces, wild and weedy relatives and landraces are very real. The consequences of widespread contamination are potentially serious. Especially, as in the case of GE Bt brinjal, the insect-resistant GE genes are advantageous to a plant, and this risks creating problem weeds. Greenpeace urges governments to employ the precautionary principle and not permit any authorisation of the outdoor cultivation of GE Bt brinjal, including field trials. More about industrial pollution in agriculture. Bioengineering agricultural giant Monsanto has touted the safety of genetically modified crops, but a new study has found that insecticide-containing corn can be harmful to the overall health of soil ecosystems. Genetically modified corn has been linked to a decrease in a subterranean fungus that forms a symbiotic bond with plant roots, allowing them to draw in more nutrients and water from the surrounding soil in exchange for carbon. Vermont surrenders to Monsanto, or does it? Vermont Governor Peter Shumlin has less than two weeks to either stand with the 90% of his constituents who support a mandatory labeling bill for genetically engineered foods - or cave in to Monsanto's threat to sue the state if legislators pass H.722. The bill that once appeared destined to pass on the merits of scientific evidence, overwhelming public support, and support of the majority of Vermont's progressive legislators, now appears doomed - unless Vermont voters succeed in changing the Governor's mind. If the Governor's words this past week are any indication, he's already surrendered to Monsanto. But Vermonters, not known for backing down from a fight, are challenging legislators to take on the biotech industry. They're even offering to raise money for the state's defense. In the U.S., Monsanto has threatened to sue states like Vermont if they pass laws that require labels on genetically engineered food and ban the routine industry practice of labeling or marketing GMO-tainted foods as "natural" or "all natural." In the U.S. and Canada, Monsanto has sued more than 150 farmers and threatened thousands of others, for refusing to pay for "intellectual property theft" after their fields were contaminated by Monsanto's patented genetically engineered crops. In Argentina, thugs assaulted a well-known scientist, Andres Carrasco, who had carried out experiments demonstrating the extreme toxicity of Monsanto's herbicide, Roundup. In Argentina, industry-hired gunmen invaded the homes of activist mothers, threatening them for trying to stop their children from being poisoned by the massive aerial spraying of herbicides on Monsanto's genetically engineered soybeans. Please take action in solidarity with Argentinian activist Sofia Gatica who was visited by an armed man who warned her not to "screw around with the soybeans" when she launched a campaign to ban Monsanto's Roundup-resistant soybeans, after her 3-day-old daughter died of kidney failure from pesticide poisoning. Ban Monsanto's Birth-Defect Causing RoundUp! If the Author of Food Politics Has Ties to Monsanto, Shouldn't Readers Know? Frances Moore Lappé is taking on the Oxford University Press, publisher of Food Politics: What Everyone Needs to Know, after learning that not only is the book full of unsubstantiated claims - no citations whatsoever - but its author, Robert Paarlberg, was an advisor to the CEO of Monsanto. Lappé is asking people to tell the esteemed academic publisher that conflicts of interests such as Paarlberg's relationship to Monsanto should be revealed to readers, as should the fact that the Gates Foundation, which supported Paarlberg's work, is a Monsanto shareholder. On April 25, Lappé will deliver a petition to Oxford University Press in Oxford, England. The petition asks that the University's Press uphold three basic standards (none of which were met by Food Politics): citations for evidence-based claims, full disclosure of potential conflicts of interest (whether financial or other associations), and accurate promotion of publications. In an article published this week, Lappé says: "We believe our appeal goes to the very heart of democracy itself; for, absent transparency and commitment to evidence-based argument (impossible if authors provide no sources for claims!) democracy's lifeblood - open, fair dialogue - drains away." El nuevo movimiento Occupy Monsanto, una ramificación de Occupy Wall Street, está convocando a personas y organizaciones de todo el mundo a hacer parte de un día internacional de protestas el 17 de septiembre, cuando el movimiento Occupy Wall Street cumplirá un año. El grupo demanda, entre otros puntos, el etiquetado obligatorio de los alimentos que contienen ingredientes transgénicos (que no existen en Estados Unidos) y que no sean aprobados nuevos cultivos transgénicos desarrollados para tolerar aplicaciones de herbicidas altamente tóxicos (cómo es el caso de la soja tolerante al 2,4-D, ya en pruebas en Brasil). “Le guste o no, es probable que la Monsanto haya contaminado la comida que usted comió hoy con agrotóxicos y transgénicos. La Monsanto controla la mayor parte de la reserva global de alimentos a costa de la democracia alimenticia del mundo”, dice la web del movimiento. El último martes (20/03), manifestantes del Occupy Monsanto colocaron carteles en 13 lugares de las carreteras que cruzan la ciudad de St. Louis, en los Estados Unidos, donde está la sede de la empresa. En ellos se podían leer frases como “El FDA (1) está contaminado por la Monsanto”, “Bioriesgo Genético: Defiéndase”, “99% vs. Mon$anto” y “Presidente de la Monsanto = Millonario”; “Consumidor de la Monsanto = Ratón de Laboratorio”. En el césped situado al frente de la sede mundial de la empresa un manta decía: “Sr. Presidente, etiquete los alimentos transgénicos. Con amor, Michelle”, en referencia a la primera dama. Hasta el mediodía del martes, todos los carteles habían sido retirados por las autoridades locales. La protesta se llevó a cabo un día después de una marcha que recorrió el centro de St. Louis y algunos días después de que se realizaran manifestaciones contra la compañía en cerca de 30 ciudades americanas y en otras partes del mundo, incluyendo España, Alemania, Nueva Zelanda, Australia, Japón y Canadá. El fin de semana anterior, 150 manifestantes del movimiento cerraron la unidad de investigación de la empresa en Davis, en California. En esa ocasión, la Monsanto dijo a sus empleados que no vayan a trabajar debido a las preocupaciones relacionadas con el problema de seguridad ocasionado por las protestas. antes, una acción judicial contra la empresa interpuesta por un grupo de agricultores fue rechazada. Ellos pedían la invalidación de las patentes agrícolas de la empresa, manifestando el temor de que las semillas patentadas aparecieran en sus cultivos (vía contaminación). La protesta se realizó en solidaridad y en conjunto con el día nacional de acción contra el Consejo Americano de Intercambio Legislativo (ALEC, en la sigla en inglés), una organización lobbysta que defiende la creación de incentivos fiscales para las corporaciones. La Monsanto es líder mundial de las semillas transgénicas, y ha conseguido implantarse en una serie de países pese a las crecientes evidencias de los efectos dañinos que provocan sobre el medioambiente y la salud. Por regla general, la empresa bloquea los esfuerzos para etiquetar los alimentos que contienen ingredientes transgénicos. También es famosa por articular la persecución de científicos que publican estudios que demuestran los efectos dañinos provocados por transgénicos y agrotóxicos. La propia investigación independiente ha sido permanentemente obstaculizada, pues la empresa usa la legislación de patentes para negar la utilización de sus productos en experimentos científicos. Ella también ha convertido a los agricultores en rehenes de sus semillas (y agrotóxicos de uso asociado): al controlar la mayor parte del mercado de semillas, la empresa gradualmente va eliminando la oferta de semillas convencionales no patentadas. Como si esto no fuera suficiente, la multinacional procesa a los agricultores cuyos cultivos son contaminados por sus transgénicos acusándolos de violar los derechos de patente. Por lo que se ve, ha llegado la hora de articularse en un gran movimiento internacional para frenar el dominio de la Monsanto sobre nuestros sistemas agrícolas y alimenticios. ¡Ocupar la Monsanto, esa es la vía que apoyamos nosotros! (1) Food and Drug Administration, órgano del gobierno de los Estados Unidos que reglamenta los alimentos y medicamentos. - Occupy Monsanto – International Action Against Genetic Biohazards. - Banners, more protests < span lang="en-US">against Monsanto – Stltoday.com, 20/03/2012. - US police arrest 12 Occupiers on national day of solidarity – PressTV, 29/02/2012. - Monsanto protested after class-action lawsuit is dismissed – Blog Post/The Washington Post, 29/02/2012. La biotecnología transgénica durante estas dos últimas décadas se ha recreado explicando las virtudes de sus invenciones. Una tecnología que sólo ha alimentado debates pues su aplicación sólo ha generado hambre. La cifra actual de personas desnutridas nunca ha sido tan hiriente. Y aunque seguiremos escuchando nuevas propuestas salvadoras transgénicas, a las que deberemos responder, serán sólo pataletas. No hay mucho más que discutir, seamos claros: por un lado, la sociedad tiene una postura clara y rotunda, NO a los transgénicos; y por el otro, tantas millonadas puestas en esta ciencia apenas ha traído más que dos o tres aplicaciones. Decían que salvarían al mundo e inventaron negocios para vender venenos ponzoñosos. Un resultado-científicamente hablando- más que pobre, ridículo. 1. La transgenia comparte con la bomba atómica el mérito de ser la tecnología que más gente ha conseguido tener en contra, y el número no deja de crecer. La sociedad civil en general y en particular las organizaciones campesinas, ecologistas y de consumo, y también organizaciones a favor de los derechos humanos, claro, rechazan abiertamente las semillas de Monsanto y compañía. 2.Los abusos cometidos por las empresas de biotecnología en todo el mundo confabulando con las autoridades administrativas han quedado desvelados, con pruebas evidentes y sin dudas razonables. Son casos que ya se estudian en escuelas de negocios. 3. En Europa, semana sí, semana no, un país rechaza los transgénicos, un territorio se declara libre de transgénicos, se alargan las moratorias de prohibición de estos cultivos y se ganan juicios y denuncias sobre sus inconvenientes. La empresa con patatas transgénicas incomestibles se ha retirado –asustada y fracasada- del mercado europeo. 4. En la India el lema ¡Monsanto, fuera de la India! es un movimiento y el movimiento en Haití rechazó tras el terremoto las semillas que Monsanto regalaba. 5. La naturaleza también ofrece resistencia, y los cultivos transgénicos sufren resistencias, como el amaranto, cereal de los diositos mayas. ¡Divinas resistencias! Y la ciencia independiente explica las propiedades transgénicas: pocos milagros y muchos tormentos para la salud del Planeta. 6. Hasta las mariposas y abejas saben que la pérdida de biodiversidad y la degradación del suelo tiene que ver con el modelo agrícola que empujan los transgénicos, sus semillas patentadas y sus agroquímicos esparcidos. Informadas vuelan lejos de los cultivos transgénicos, bien lejos. 7. ¿Diseñan en los laboratorios cultivos que no dependan del petróleo? Eso sería pensar hacia delante, pero la ciencia transgénica piensa con los ojos tapados. Mientras tanto y desde siempre el saber campesino sabe cultivar sin avionetas y sin fertilizantes sintéticos. 8. Decían que darían de comer a varios planetas y muchos universos, pero algo salió mal. Ni arroz vitamínico, ni tomates gigantescos, ni lechugas sin regar…ningún transgénico ha sido pensado para comida de personas. Sus únicos inventos, la soja, colza y maíz, que se monocultivan son materia prima para engordar la ganadería industrial (y ahora industria automovilística) de países ricos y obesos. Un descuido científico que aclara y sentencia. Un fracaso del que ya casi no habrá que hablar. La plaga transgénica, sus inversiones, sus tejemanejes y sus emporios que se comerían el mundo, dos décadas después cubren tan solo un 3% de la tierra agrícola mundial, recluidos en cuatro o cinco países. Un 97% de la tierra agrícola del mundo continúa estando libre de transgénicos. Sentimos notificarlo, transgénicamente no hay nada que hacer. OCA and our lobbying ally, the Organic Consumers Fund, put our money where our mouth is. With the 2012 California Ballot Initiative, and GMO labeling legislation gaining momentum in Vermont, Connecticut, Hawaii and other states, we have a real chance to hit Monsanto, corporate agribusiness, and the supermarket chains with the skull and crossbones they fear so much: mandatory labels on genetically engineered food. At the same time we are continuing our struggle to strengthen organic standards and significantly expand the market for organic food and products, especially those produced locally and regionally; while warning consumers about the dangers of junk food and chemical agriculture. OCA has learned, as we reported last week, that Vermont may not pass the GMO Labeling law now languishing in the state legislature, because Monsanto has threatened to sue the state if they pass the bill. According to informed sources, Vermont Governor Peter Schumlin is probably the only one who can save the bill from dying in this legislature session, which ends May 1. Please get on the phone right now to Governor Schumlin and tell him not to buckle under Monsanto's biotech bullying. We need a GMO labeling bill and we need one right now. Vermont can and should lead the way! Other states will follow. "El informe muestra que la objeción cada vez más fuerte de los movimientos sociales y de las organizaciones de la sociedad civil están teniendo un impacto en la introducción de los cultivos GM”, sostuvo Josie Riffaud de La Vía Campesina. "¿Quién responsabilizará a Monsanto de la devastación mundial de la biodiversidad, de la erosión del suelo y de las violaciones a los derechos campesinos provocados por la utilización de productos en base al petróleo que son necesarios para la agricultura industrial?”, se preguntó Dena Hoff de la Coalición Nacional de Agricultures Familiares/ La Vía Campesina América del Norte. "Los agricultores de todo el mundo estamos resistiendo por la soberanía alimentaria, pero el resto del mundo debe sumarse”, agregó. "Este nuevo informe documenta la fuerte oposición a esta poderosa empresa trasnacional, que promociona sus productos genéticamente modificados aparentemente sin tener en cuenta los costos sociales, económicos y ambientales”, afirmó Martín Drago, coordinador del Programa de Soberanía Alimentaria de Amigos de la Tierra Internacional. "La mayoría de la población en Europa se opone a la producción de alimentos genéticamente modificados, y varios países europeos ahora tienen moratorias nacionales que prohíben el maíz MON810 de Monsanto y las papas Amflora de BASF, a pesar de la fuerte presión de la industria de biotecnología y de la Comisión Europea de levantar las moratorias”, sostuvo Héloise Claudon de la organización Combat Monsanto. This week, a group of scientists sent a letter to the U.S. Environmental Protection Agency urging farmers to stop planting genetically engineered corn with a certain gene because it will no longer protect them from the corn rootworm. If the recommendations are put into practice, it could cause major changes in the way that seed companies like Monsanto do business. For America's agricultural biotech companies, the corn rootworm is threatening to turn into their worst nightmare. Last year, we reported that a major insect pest, the corn rootworm, had "found a chink in the armor" of genetically engineered crops. In several different places across the corn belt, the insects have developed resistance to an inserted gene that is supposed to kill them. Now, in a letter to the U.S. Environmental Protection Agency released this week, 22 of the nation's top experts on corn pests lay out some of the implications of this discovery, and they are potentially profound. In order to slow down or prevent the spread of resistance, the scientists are calling for big changes in the way that biotech companies, seed dealers, and farmers fight this insect. The scientists urge the agency to act "with a sense of some urgency." The re-thinking that's laid out in this letter, in fact, goes beyond what the EPA is able to do under current law. For instance, the researchers want seed companies to stop routinely inserting anti-rootworm genes into their most productive hybrid seed lines. According to the letter, this practice means that farmers "often have few options" apart from rootworm-protected seeds — even in some areas where rootworms don't pose a serious problem. When farmers plant hybrids that contain the same gene, year after year, it dramatically increases the chances that this gene quickly will become useless, because insects will become resistant to it. The researchers are calling on farmers in some parts of the country to stop planting corn with anti-rootworm genes altogether, or to plant such corn only intermittently. Patrick Porter, from Texas A&M University, who coordinated drafting of the letter, tells The Salt that some of these recommendations will be dismissed as "impractical" by many farmers and seed companies. But the group's credentials are impressive. It includes most of the non-corporate researchers who are currently trying to evaluate the extent and consequences of corn rootworm resistance. If the recommendations in this letter were, in fact, put into practice, it would compel wrenching changes in the way that major seed companies like Monsanto and DuPont breed and market their corn seed. Monsanto issued a statement responding to the scientists' letter, asserting that rootworms has caused excessive damage on just 0.2 percent of the acres where farmers planted Monsanto's rootworm-protected corn. This year, scientists from the companies and also universities plan to monitor fields for rootworm damage much more carefully than in the past. So far, researchers have found insects that are resistant to just one of the three different anti-rootworm genes currently on the market. (For those of you who care about the details, it's called Cry3Bb1.) New corn hybrids now are on sale that combine two different anti-rootworm genes. In theory, if the toxins produced by these genes kill rootworms in different ways, this "pyramid" of genes should dramatically reduce the chances of insects developing resistance. So the EPA is allowing corn growers to plant this new "SmartStax" type of corn on a larger area — up to 95 percent of a grower's corn acres. Many scientists think this is a big mistake. They've collected data showing that the two genes, working together, are indeed more effective than any single gene — but the combination is not nearly as effective as people had hoped. In addition, "SmartStax" corn is being planted in areas where some insects may already be resistant to one of the genes, so it's not a true pyramid. "It raises real questions about how stable this house of cards is," says Kenneth Ostlie, from the University of Minnesota. The economic consequences of widespread corn rootworm resistance to genetically engineered crops could be enormous. Farmers who want to plant corn on their fields every year — and even farmers in some areas who rotate corn and soybeans — would be forced to rely on chemical insecticides. But Paul Mitchell, at the University of Wisconsin, says those insecticides don't work very well, and yields could suffer. Any significant dip in the corn harvest, Mitchell says, could produce "a huge spike" in the price of corn. Some farmers could adopt other ways to control rootworm, rotating their fields into crops where corn rootworms cannot easily survive, such as wheat or alfalfa. But Porter says that's simply not an option for many farmers; they have to plant the most profitable crop - corn - in order to compete economically. "A lot of the time, farming is run by bankers now," he says. Two experts who were not part of the group that sent the most recent letter, Fred Gould of North Carolina State University and Bruce Tabashnik, at the University of Arizona, have called on the EPA to require farmers to plant much larger "refuges" of corn that is not toxic to rootworms. They say it's the only reliable way to slow down insect resistance. But Porter says that's not possible, at least this year. There's simply not enough conventional corn seed for such large refuges. He's wary of sudden regulatory shifts that could fundamentally disrupt production: "If we do the wrong thing, we could see corn at $15 per bushel." That's more than twice what corn costs today. Un informe divulgado por La Vía Campesina, Amigos de la Tierra Internacional y Combat Monsanto asegura que esa compañía estadounidense enfrenta una resistencia creciente en diversas partes del mundo. 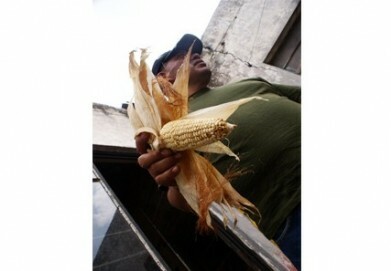 “Lucha contra Monsanto. Resistencia de los movimientos de base al poder empresarial del agronegocio en la era de la ’economía verde’ y un clima cambiante”*, se titula el trabajo difundido el 4 de abril, cuando la gigante biotecnológica presentaba sus últimos registros de ganancias. Movimientos sociales, comunidades locales, pequeños productores y agricultores orgánicos rechazan a Monsanto y la agricultura industrial que representa, concluye el informe elaborado por la red campesina, la federación ambientalista y el colectivo de organizaciones que trabajan contra la empresa semillera. Según un comunicado de prensa conjunto, el coordinador del programa de Soberanía Alimentaria de Amigos de la Tierra Internacional, Martín Drago, dijo que el nuevo estudio “documenta la fuerte oposición” a Monsanto, “que promociona sus productos genéticamente modificados aparentemente sin tener en cuenta los costos sociales, económicos y ambientales”. La activista Héloise Claudon, de Combat Monsanto, señaló en el parte de prensa que “la mayoría de la población en Europa se opone a la producción de alimentos genéticamente modificados”. “Varios países europeos ahora tienen moratorias nacionales que prohíben el maíz MON810 de Monsanto y las papas Amflora de BASF, a pesar de la fuerte presión de la industria de la biotecnología y de la Comisión Europea de levantar las moratorias”, sostuvo. El 16 de enero la empresa alemana BASF anunció que abandonaría el desarrollo y comercialización de transgénicos en Europa por la gran resistencia que esos cultivos han generado en diversos países de la región. La compañía decidió centrar sus esfuerzos en otros mercados: América del Norte, del Sur y Asia. Un representante del directorio de BASF encargado de los organismos genéticamente modificados, Stefan Marcinowski, reconoció en ese entonces que las “tecnologías verdes no son suficientemente aceptadas en muchas regiones de Europa por la mayoría de los consumidores, agricultores y responsables políticos”. “Es por ello que no tiene sentido económico seguir invirtiendo en estos productos (...)”, agregó, citado por la agencia AFP. De acuerdo a La Vía Campesina, Amigos de la Tierra y Combat Monsanto, el área total plantada con cultivos transgénicos abarca tan solo un 3 por ciento de la tierra agrícola mundial, en contradicción con el panorama alentador que pinta siempre la industria biotecnológica. Las tres redes explican que las plantaciones de transgénicos se restringen a pocos países: el 90 por ciento están en Estados Unidos, Brasil, Argentina, India y Canadá. “La gran mayoría de los cultivos genéticamente modificados son destinados a alimentos para animales en países ricos, en lugar de ser para alimentos para los pobres o quienes padecen hambre”, lamenta el comunicado de prensa de los autores del nuevo trabajo. Agrega que la utilización de transgénicos “homogeneiza los alimentos y elimina el conocimiento y la cultura local”. El informe presenta importantes luchas contra Monsanto y otras empresas de la agricultura industrial que presionan para imponer los cultivos genéticamente modificados. Los autores buscan que los testimonios y análisis contenidos en el trabajo inspiren y unan a consumidores, activistas y comunidades locales en contra de los abusos cometidos por Monsanto y otras empresas biotecnológicas. “¿Quién responsabilizará a Monsanto de la devastación mundial de la biodiversidad, de la erosión del suelo y de las violaciones a los derechos campesinos provocadas por la utilización de productos en base al petróleo, que son necesarios para la agricultura industrial?”, se preguntó Dena Hoff, de la Coalición Nacional de Agricultores Familiares, La Vía Campesina América del Norte. La dirigente destacó que los agricultores de diversas partes del planeta presionan en favor de la soberanía alimentaria. “Pero el resto del mundo debe sumarse” a esa lucha, consideró. From the Organic Consumers Association: "Despite overwhelming public support and support from a clear majority of Vermont's Agriculture Committee, Vermont legislators are dragging their feet on a proposed GMO labeling bill. Why? Because Monsanto has threatened to sue the state if the bill passes. The popular legislative bill requiring mandatory labels on genetically engineered food (H-722) is languishing in the Vermont House Agriculture Committee, with only four weeks left until the legislature adjourns for the year. Despite thousands of emails and calls from constituents who overwhelmingly support mandatory labeling, despite the fact that a majority (6 to 5) of Agriculture Committee members support passage of the measure, Vermont legislators are holding up the labeling bill and refusing to take a vote." Un reciente artículo científico de investigadores del Instituto Federal de Tecnología de Suiza (ETH) confirmó que el maíz transgénico Bt es letal para las larvas de catarinas, que son insectos altamente beneficiosos para la agricultura y la biodiversidad. Se suma a las muchas evidencias sobre los graves impactos que conllevan los transgénicos. Al mismo tiempo, contra todas las evidencias y contra recomendaciones de autoridades de Naciones Unidas, el gobierno de México aprobó nuevas siembras a campo abierto de grandes extensiones de maíz transgénico, absurdamente llamadas experiencias piloto, pese a que no hay medidas de bioseguridad: el polen se difunde abiertamente, contaminando la biodiversidad y el maíz campesino en su centro de origen, cometiendo un crimen de proporciones históricas. Luego del primer estudio en 2009 –que arrojaba resultados equivalentes–, la doctora Hillbeck y su equipo fueron víctimas de un furioso ataque orquestado por varios científicos amigo$ de la industria de los transgénicos, que dijeron que haber repetido los mismos estudios, obteniendo resultados opuestos. El estudio de Hillbeck ahora publicado, además de confirmar el daño que produce el maíz Bt a las catarinas, demuestra que el método de investigación de los que la atacaron fue absolutamente inconsistente, ya que repitiendo el mismo protocolo ¡ni siquiera mueren las plagas del maíz para las que está diseñado el maíz Bt! La muerte de las larvas de catarinas es un tema muy preocupante, porque son insectos que cumplen una función muy importante de control biológico, natural, de plagas. Las larvas de catarinas (o como se las llama en otros países, mariquitas, san antonios, joãninhas) se alimentan de pulgones, mosquitas blancas y otras plagas de cultivos y jardines. Su función es tan benéfica, que sumadas a su forma y alegres colores, son consideradas en muchos países como signo de buena suerte. En realidad traen buena suerte: si existen en su jardín y en sus cultivos, los cuidarán de muchas plagas. Como el hecho de que los transgénicos maten las catarinas es muy grave, la industria y sus amigo$ científicos, están dispuestos a inventar, deformar y publicar cualquier falsedad, para defender los intereses de unas pocas multinacionales que controlan los transgénicos, que casualmente son las mismas que controlan los agrotóxicos para combatir las plagas –de algunas de las cuales se ocupan las catarinas sin cobrarnos nada más que la alegría de verlas. Cada vez que algún científico independiente, no financiado directa o indirectamente por las empresas, se atreve a publicar la verdad sobre los efectos de los transgénicos, hay una serie de otros científicos, con intereses económicos en los transgénicos, que salen a defenestrarlos, defendiendo los transgénicos con falsedades y una gran falta de ética y de escrúpulos. En México tenemos un ejemplo reciente de ese tipo de cobertura, con la publicación titulada cínicamente Por un uso responsable de los organismos genéticamente modificados, compilada por Francisco Bolívar Zapata, quien tiene múltiples vínculos con la industria y reconocidos intereses económicos en el desarrollo de transgénicos. Los daños comprobados a las catarinas, se suman al desastre que están produciendo los transgénicos en la biodiversidad y la apicultura –tanto por que usan muchísimo más agrotóxicos y matan las abejas, como porque al contaminar la miel con polen transgénico, impiden la exportación del producto, un importante rubro económico que es producido mayoritariamente por apicultores campesinos, no por grandes industrias. ¿Será por ello que al gobierno no parece importarle el daño a las 40 mil familias que hacen apicultura en el país? Porque sigue aprobando la siembra de transgénicos en la península de Yucatán y otras regiones donde existen la mayor cantidad de comunidades y ejidos productores de miel, pese a que Europa ya ha rechazado miel mexicana de allí por estar contaminada con transgénicos. ¿A favor de quién sacrificar a las familias campesinas, a las abejas, a la biodiversidad y hasta la exportación? 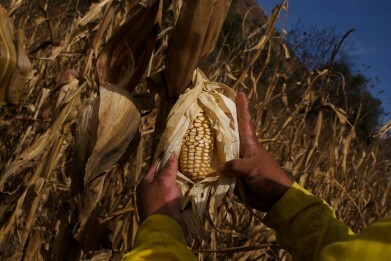 De las transnacionales Monsanto, Syngenta, DuPont-Pioneer, Dow. La reciente asamblea nacional de la Red en Defensa del Maíz denunció y rechazó estos ataques. A 10 años de su fundación, la red recordó que se formó justamente a partir de la comprobación de la contaminación transgénica del maíz campesino y que desde entonces, el gobierno ha trabajado para legalizar –y aumentar– la contaminación transgénica, regalando el patrimonio genético más importante del país a 4 trasnacionales que con sus transgénicos tóxicos contaminan irreparablemente la creación milenaria de millones de campesinos e indígenas. La red denunció también que el mapa de los centros de origen que usa el gobierno, fue amañado para señalar los lugares de interés de la industria como no centros de origen, cuando todo México y Mesoamérica es centro de origen y que en cualquier lugar del país que se plante, se contaminará el resto. Pese a que el gobierno apura las siembras transgénicas pensando que saldrá impune por estar al final de su sexenio, la red reafirmó la decisión y el trabajo para llevar el caso ante tribunales internacionales. La Red por una América Latina Libre de Transgénicos ha producido un manual legal, donde se establecen las bases legales para la creación y mantenimiento de las zonas libres de transgénicos. Su objetivo es identificar más claramente los obstáculos de las organizaciones y colectividades que han optado por defender sus territorios de la amenaza transgénica a fin de desarrollar estrategias que permitan superarlos, así como para proteger las declaratorias logradas. Estas estrategias son de naturaleza político – jurídica, por ser complementarias, y porque ni los triunfos judiciales en materia de derechos sociales ni los triunfos políticos son suficientes. Este manual aportará elementos para la protección de los derechos ligados a la lucha contra los transgénicos y el fortalecimiento de los procesos organizativos. - los retos que afronta el derecho internacional para la protección integral de iniciativas como estas. El manual es de autoría de la abogada Dina Murcia. Las estrategias para lograr la invasión transgénica van de la contaminación intencional hasta los cambios legales. Ante ello, las comunidades y organizaciones de la Red insisten: para defender el maíz, hay que sembrarlo. Hace diez años que las comunidades que siembran maíz en sistemas complejos como la milpa insisten en que para defender el maíz hay que sembrarlo; que para defender la libertad de las semillas hay que seguirlas custodiando e intercambiando; que la autonomía más primera es sembrar los propios alimentos, y de ahí la defensa integral del territorio se vuelve posible. Las empresas buscan quebrar la producción independiente de alimentos como un modo brutal de quebrar la idea de la comunidad, la defensa territorial, la autonomía de los pueblos, para así inundar de monocultivos, paquetes tecnológicos, programas autoritarios de intensificación de cultivos con mecanización y paquetes de agrotóxicos, o invadir de plano buscando acaparar la tierra, el agua o los minerales y la biodiversidad, ambicionando además la mano de obra fragilizada del campesinado para volverlos esclavos en las ciudades o en los proyectos agroindustriales, mientras las corporaciones predan el bosque o especulan vendiendo bonos de aire en las bolsas internacionales de valores. If any insect species can be described as charismatic minifauna, it's the monarch butterfly. The gorgeous creatures flutter about in a migratory range that stretches from the northern part of South America up into Canada. The monarch is the only butterfly species that undertakes such a long-distance migration. And when they alight upon a place en masse, heads turn. No fewer than five states—Texas, Alabama, Idaho, illinois, and Minnesota—claim the monarch as their state insect. Unfortunately, the monarch populations appear to be in a state of decline. Why? A new study (abstract; press release) from University of Minnesota and Iowa State University researchers points to an answer: the rapid rise of crops engineered to withstand herbicides. Their argument is powerful. Monarchs lay their eggs on one particular kind of plant: the milkweed. And when the eggs hatch, the caterpillars feed exclusively on the weed. Milkweed is common throughout the Midwest, and has long thrived at the edges of corn fields. But when Monsanto rolled out its "Roundup Ready" seeds in 1996, which grew into plants that could thrive amid lashings of its flagship Roundup herbicide, the Midwest's ecology changed. As farmers regularly doused ever-expanding swaths of land with Roundup without having to worry about the hurting their crops, milkweed no longer thrived—and as a result, the charismatic butterfly whose caterpillars require it can no longer thrive, either. The researchers estimate that the amount of milkweed in in the Midwest plunged by 58 percent from 1999 to 2010, pressured mainly by the expansion of Roundup Ready genetically engineered crops. Over the same period, monarch egg production in the regions sank by 81 percent. And it turns out that monarchs tend to lay more eggs milkweeds that sprout up in and around cultivated fields. So when farmers snuff out the milkweeds with Roundup, they're exerting a disproportionate effect on monarchs. Now, there are no doubt other pressures facing the monarch, including habitat loss in Mexico, but it's undeniable that when you drastically reduce egg-laying habitat and caterpillar food in one big go, you're going to harm a butterfly species. Of course, this is not the first time scientific research has implicated GMO crops as a threat to monarch butterflies. Besides Roundup Ready, Monsanto has succeeded in commercializing one other trait: what's known as Bt, which it uses in corn and cotton seeds. So-called Bt crops have been engineered to express the toxic-to-bugs gene of the Bacillus thuringiensis bacteria. Habitat, sweet habitat: A monarch caterpillar lounges on a milkweed leaf. 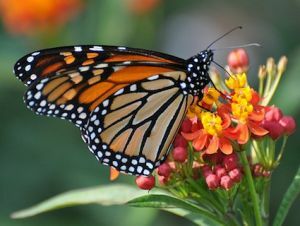 : Dave Gavoni/FlickrBack in 1999, Cornell researchers published a paper in Nature expressing concern that that pollen from Bt-engineered corn would drift onto milkweed and poison monarchs. In their lab tests, they found that when monarch caterpillars fed on milkweed dusted with pollen from Bt crops, they consumed less food, developed more slowly, and died at much higher rates than the control group. The paper generated a lot of controversy and got activist groups charged up. But in 2005, a USDA study found that Bt corn wasn't a threat to the popular butterfly after all. The researchers concluded that in the Midwest's cornfields, not enough Bt pollen was accumulating on milkweed to have an effect. Well, whether or not Bt-infused pollen hurts monarchs, largely wiping out milkweed with Roundup makes the debate largely academic. 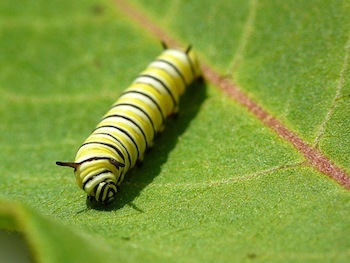 Monarch caterpillars can only be exposed to the pollen when they're crawling about on milkweed leaves. Trouble is, they can't exist unless they're crawling about on milkweed leaves. The story here is about more than the decline of a butterfly species. It's also about the unintended consequences of subjecting millions of acres of our best farmland to a single chemical-dependent technology, one literally designed to wipe out plant biodiversity in farm fields. We know about the plight of the monarch only because it's a fascinating, beloved creature that attracts scrutiny from researchers. What else are we sacrificing to industrial agriculture ramped up by genetic engineering? Un nuevo estudio publicado en la revista Archives of Toxicology viene a mostrar una vez más que no hay nivel seguro ante la exposición al herbicida Roundup de Monsanto (glifosato), preparado para ser utilizado en los organismos genéticamente modificados (OGM). Según los nuevos hallazgos, Roundup, del que se aplican millones de toneladas al año en todo el mundo, sigue siendo tóxico para el ADN humano incluso si se diluye 0,02 por ciento, cantidad que se utiliza normalmente en los cultivos transgénicos. Numerosos estudios han señalado el hecho de que el Roundup provoca daños en el ADN, sin contar con las alteraciones endocrinas y cancerígenas ya conocidas. Este nuevo estudio, que procede de la Universidad Médica de Viena, es el primero en mostrar que la toxicidad de Roundup se mantiene incluso a niveles muy diluidos, lo cual entra en contradicción con lo que dicen los gigantes de la Agricultura Industrial sobre la supuesta seguridad de Roundup. “Las comparaciones con los resultados de estudios anteriores sobre los linfocitos y células de los órganos internos indican que las células epiteliales son más susceptibles a los efectos citotóxicos del herbicida, provocando daños en el ADN”, escriben los científicos en el resumen de su estudio. “Desde que descubrimos los efectos genotóxicos (que dañan el ADN) en una exposición a concentraciones 450 veces por debajo de las utilizadas normalmente en la agricultura, nuestros resultados indican que su inhalación puede provocar daños en el ADN de las personas expuestas”. Por otro lado, no solo el ingrediente glifosato de Roundup es extremadamente tóxico, sino que aumenta su toxicidad por la presencia de otros aditivos en su formulación, como por ejemplo la polioxietileneamina, surfactante que facilita la absorción del glifosato por las células, encontrándose que aumenta de manera significativa la toxicidad sinérgica de Roundup en los seres humanos. Para el medio ambiente, el Roundup es una amenaza constante, para el aire y el agua, sobre todo para las aguas subterráneas y potables, ya que los estudios han demostrado que no se biodegrada después de ser aplicado en los cultivos. El pasado otoño, el Servicio Geológico de Estados Unidos (USGS) publicó datos que muestran que el aire y el agua estan altamente contaminados con glifosato.